Limiting the WiFi signal in your router might be sometime useful when you require it in a limited area. The basic principle behind it is to reduce the transmission power of your router. The transmission power of some router is set to 100% by default. You cannot increase your router’s transmission power above 100%. However, you can limit it to reduce the Wi-Fi range. 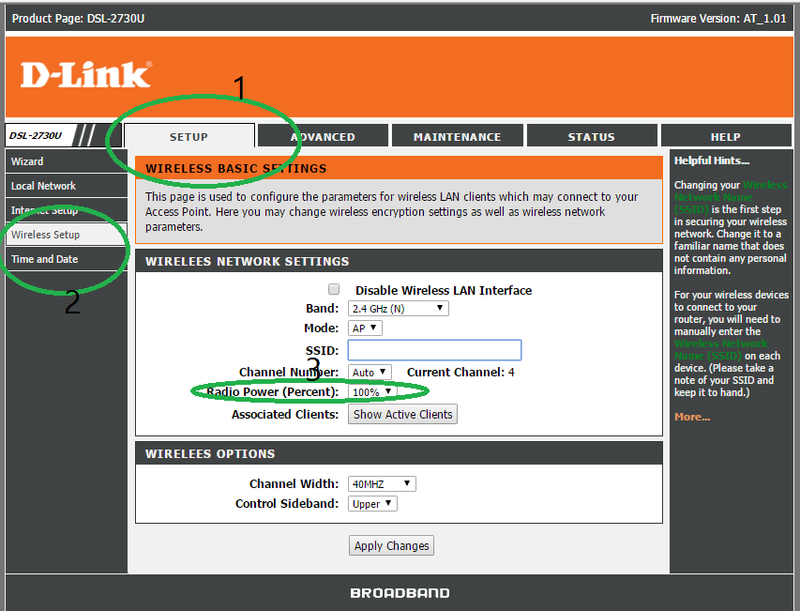 Now go to Wireless > Advanced now on the bottom you will see Transmit Power which is set to 100% by default. You can change it to different levels i.e. 20%, 40%, 60%, 80%. You have to try each value until you get the desired Wi-Fi range. After setting Transmit Power click on Apply/Save. By reducing the transmission power your WiFi radius will be reduced. It is highly recommended to set a secure password for your Wi-Fi Network. Make sure to set a password which should be at least of 64-bit length. In a 64-bit password you can either set a 10 digit number or a 5 digit ASCII code. Update[6-August-2016]:The above method is for DSL-2730U U1.